Our AFV series paints are not only historically accurate and specially formulated with top quality components to exacting standards but take into account the effect of scale reduction. Ready to use straight from the bottle; simply shake, and the paint is ready to go. 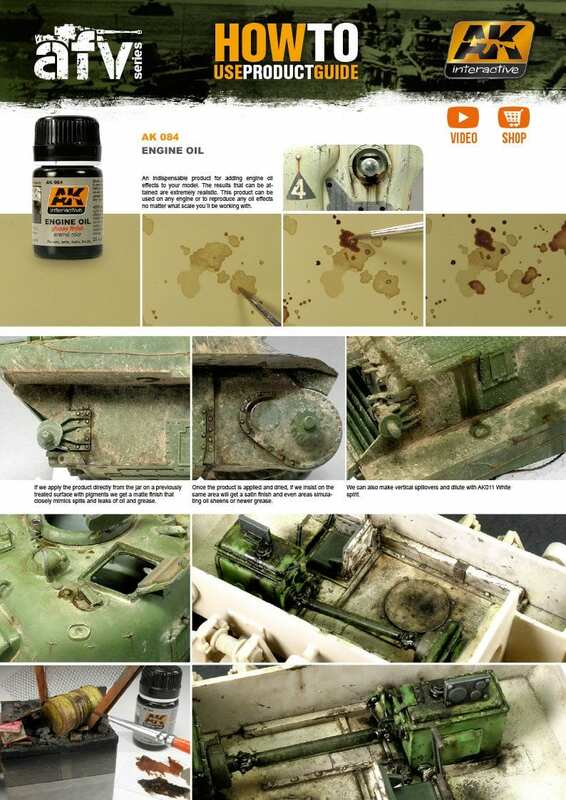 Dilution is not necessary when airbrushing AK paints; however, when painting camouflage or fine lines, add a few drops of our specially formulated thinner AK-712. Useful with all acrylic paints, AK-712 improves the performance of the paint and is vastly superior to most other available thinners. 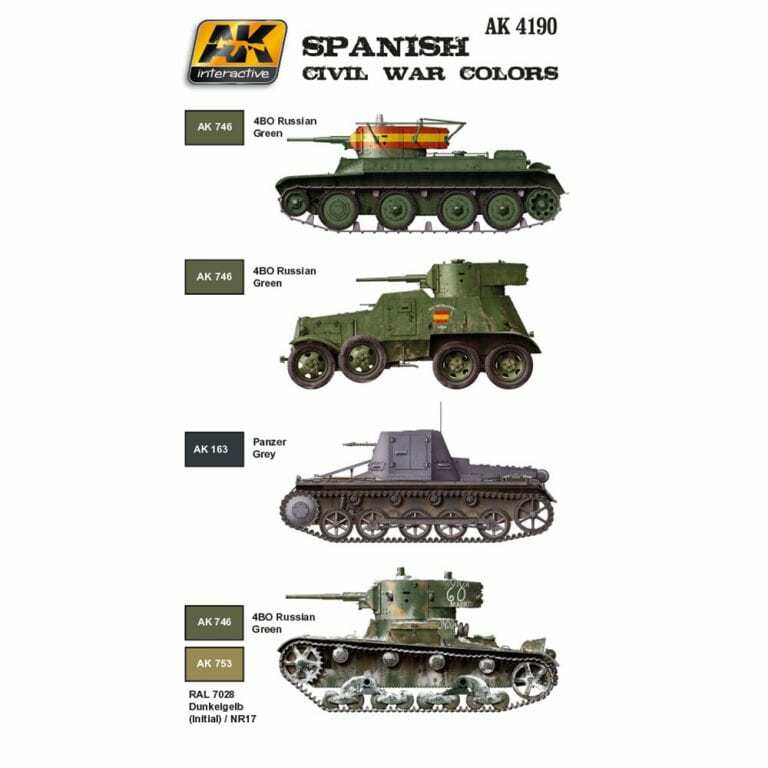 *A model tank reflects less light than an actual full size tank; this means the color applied to the model must be of a lighter shade to look the same as the full sized version. If the exact same shade were applied to each, the model would appear darker as it reflects less light.